Epigastric pain , is an upper abdominal pain which can be caused by several diseases. First you need to understand the location of epigastric pain. The pain is limited to Epigastrium, it is a part of upper abdomen. Technically it is the region between subcostal plane and costal margins. 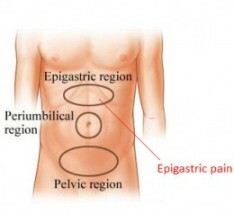 The image below can help you to understand the location of epigastric pain. In this article we will discuss causes and general diagnostic and treatment approach for causes of epigastric pain. 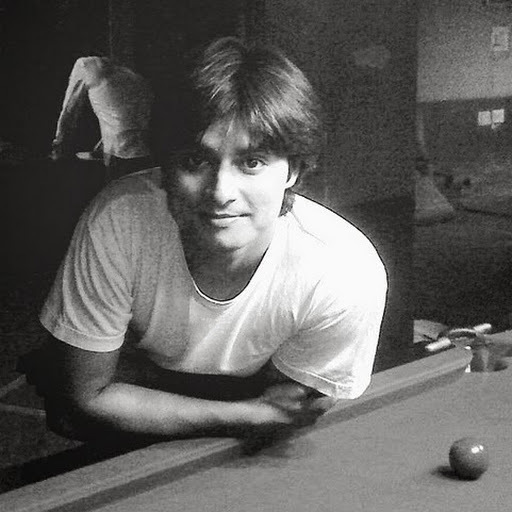 Each causes are discussed in detail in other articles. Pancreatitis is one of the most common cause of epigastric tenderness or pain, while ulcer disease is also very closely related to epigastric pain but it is seen that most of the Ulcer disease patients do not have epigastric pain. Only less than 20 percent of patients with Ulcer disease complain of epigastric or upper abdominal pain. Most of the time the cause of epigastric pain remains unknown even after several medical tests and investigation and all the test results come of to be normal, this type of idiopathic epigastric pain is called as Nonulcer Dyspepsia. It is a kind of functional persistent epigastric pain with normal test and investigation results. Epigastric pain is a symptom of some underlying disease and the diagnostic approach is to find out the cause and treat it. For diagnosing disease of stomach, barium studies are not that useful. Endoscopy plays an important role, though the invasive nature of the investigation brings the dilemma of as to when to perform it. Endoscopy is necessary for the diagnosis of cancer and to see changes at the cellular level (Dysplasia) of lower esophagus to rule out Barret's esophagus which could progress to esophageal cancer (adenocarcinoma of esophagus). Even in the case of ulcers, the most definitive test to diagnose it is biopsy and histology which requires endoscopy. So when should a doctor perform endoscopy? well, their are few things to look out for in the history of patients which could be important pointers for performing endoscopy in patients with epigastric pain. It should be noted that every patient with age of 45 and above should go upper endoscopy to exclude gastric cancer. Endoscopy should also be performed in those patients who have undergone full course of drugs like proton pump inhibitors, H2 receptor blockers like cimetidine and ranitidine with no relief in symptoms. Patient should be off PPIs (proton pump inhibitors) one to two weeks prior to serological tests as it can give false negative results. ELISA test is not affected by PPIs, but if the doctor is testing for eradication, ELISA should not be used. The best tests for eradication of Helicaobacter Pylori is either stool antigen detection or breath test.